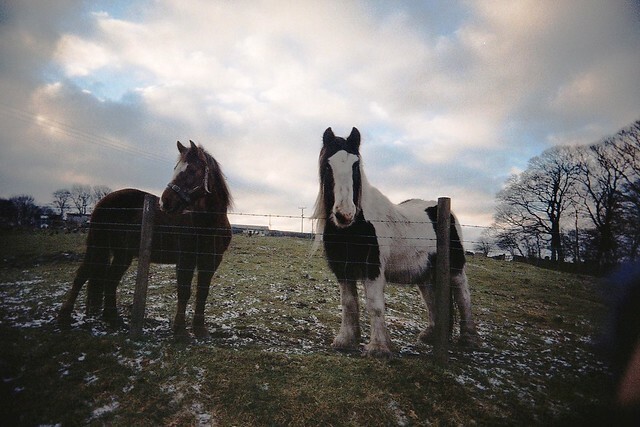 Remember these diana mini photos of horses? And perhaps these instax mini ones? Well, I took 3 cameras with me that day, so here are the superheadz yellow peace ones too. How amazing is that face with a wide angle lens? I love it. I think horses are my new favourite photography subject.